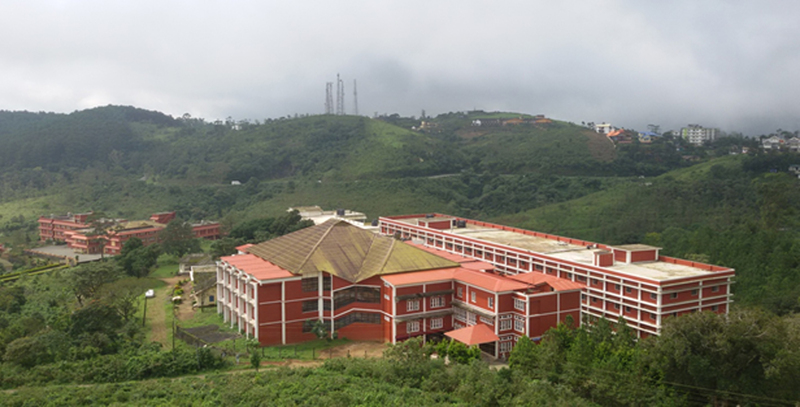 Apart from this a Taluk Hospital is available within 5 kilometer distance for any emergency medical assistance and also a 250 bed hospital run by the Catholic Diocese of Kanjirapally just about 20 kms away from the hostel. Boys students of MBA is admitted to Marian International boys hostel. It has single and twin sharing with attached bathroom as well as triple sharing accommodation. Students may choose from the three available options. Homely food is provided from the modern kitchen facility attached to the hostel with all the kitchen staffs belong to native places thereby ensuring a tasty and healthy diet. Students need to pay the hostel rent for the entire year at the beginning of each year to the college office. Food expenses can be paid to the hostel office on a monthly basis. Mess advance Rs.3600/- and admission fee Rs.1000/- should be paid to the hostel at the time of admission. Mess Fee Rs.3600/- is to be paid to the hostel every month. Pratheesha Bhavan Girls hostel, supervised by Nuns, provides safe, clean and comfortable accommodation to the girls. It provides triple sharing accommodation. Tasty and healthy diet is ensured to facilitate maximum satisfaction to the inmates. Full time assistance by wardens as well as supporting staff is available at the hostel. * Mess advance Rs.3600/- and admission fee Rs.1000/- should be paid to the hostel at the time of admission. Mess Fee Rs.3600/- is to be paid to the hostel every month.